August is going to ROCK! Hey Rock fans! August is going to be a busy month for 6ix 5ive 9ine! We’re kicking things off this month with a show at KnuckleHeads in Michigan City on Friday August 8th, we’re playing a private party in La Porte the following weekend, and then we’re heading back to Hunley’s in Cedar Lake on Saturday August 23rd! Hope to see you all there! Rock on! 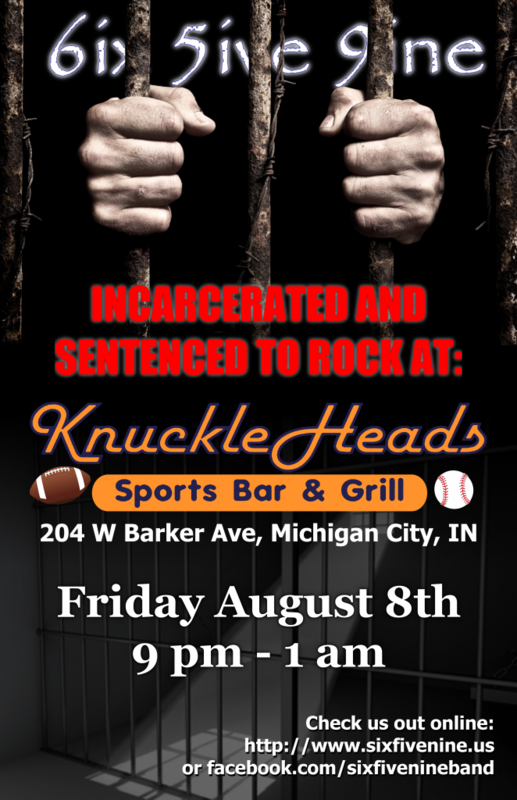 This entry was posted in Gigs, News and tagged August, Cedar Lake, Hunley's Bar and Grill, KnuckleHeads, Michigan City by admin. Bookmark the permalink.